Video conferencing has become an easy way to get business done. And with the high-quality solutions available today, companies can effectively run meetings and communicate, while reducing the costs of travel. Yet it's critical to ensure your video conferencing tools fit with your overall communications and collaboration objectives. 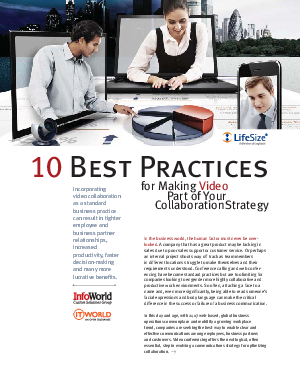 This paper offers 10 tips for incorporating video conferencing technology into your IT environment.